Thetford Computer Repair provides the complete Computer Repair & Website Design service in Thetford and Brandon and surrounding areas for all businesses and private customers. 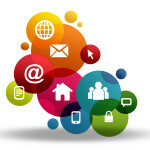 We offer a wide range of services to promote your business and products throughout the world wide web. Thetford Computer repair covers East Anglia & surrounding areas, we provide a whole range of services to local & national customers. From IT support training to web design network security & business promotional services. independent supplier, Interconnect Design can source the most appropriate and cost-effective solutions for your business. Solutions including hardware, software, networks and cabling. We aim to help achieve the best return on your IT investment. 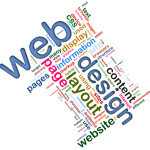 differs from larger web design organisations by providing a complete personal service. From start to finish of each project, we enable your company to portray the right company image. 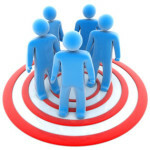 Thus targeting the correct audience within your product sector. With many satisfied customers, we pride our success on continued development and customer satisfaction. Using the latest technology for web design, we will develop an outstanding web site for your company image. provide a comprehensive range of IT services designed to keep your business running smoothly. We understand that reliable IT systems are essential in modern business and we have cost-effective IT services and solutions. This helps your business make the most of technology available today. We can design a range of computers to suit your company needs. Servers or desktop solutions are something we specialize in. Contact us for further details. for web design services or launching a new business venture, your company needs in house training. Our professionals have a plethora of experience in their field, we have an in-house creative and technical solutions. Our resourceful team can provide you with exactly the services you require. If you would like to chat about your project ventures, please don’t hesitate to get in touch with our team. Our mission is to provide a full range of professional web design, Computer Repair, virus removal, data recovery with training services for clients in all areas around Thetford Norwich Diss Cambridge Watton Brandon Mildenhall East Anglia and throughout the UK.